Box 501 sent Company 50 (Steelton), Engines 49 (Swatara Township), 41 (Bressler), Rescue 40 (Paxtang), and Tower 1 (Harrisburg) to 322 Pine Street for a structure fire at 1433 hours. 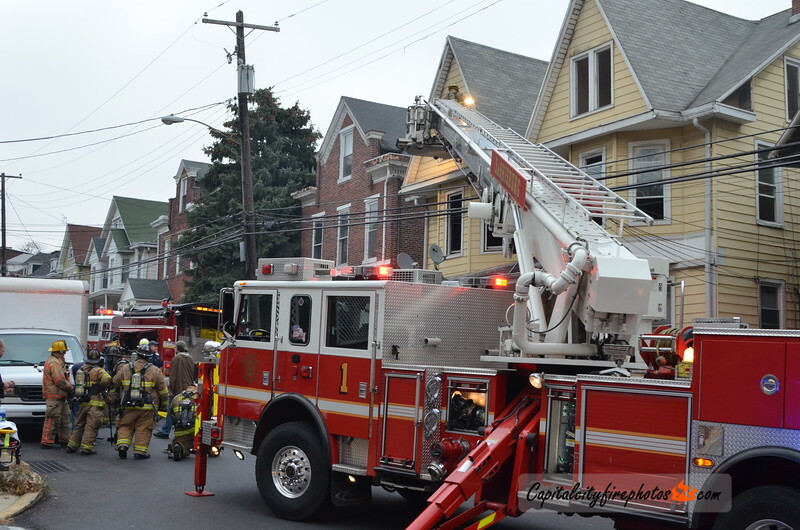 Wagon 4 (Harrisburg) also responded on the initial assignment. Multiple calls were being received. Engine 50 arrived on location reported a working fire and requested the first alarm. Truck 32 (Progress), Rescues 88 (Middletown), 69 (New Cumberland DLA), and Air 30 (Penbrook) filled out the first alarm at 1436 hours. Command 50 had heavy fire from the second floor rear of a 3 story, multi-family, duplex. An interior attack knocked the bulk of the fire down in less than 10 minutes with extensive overhaul. Minor extension into the exposure and all occupants were out prior to arrival of the companies.